Hello guys! Welcome to another #Samsung Galaxy J2 Pro J250F article. As customary in this blog, we bring you more Note 5 issues and their respective solutions. We hope you’ll find this material informative. 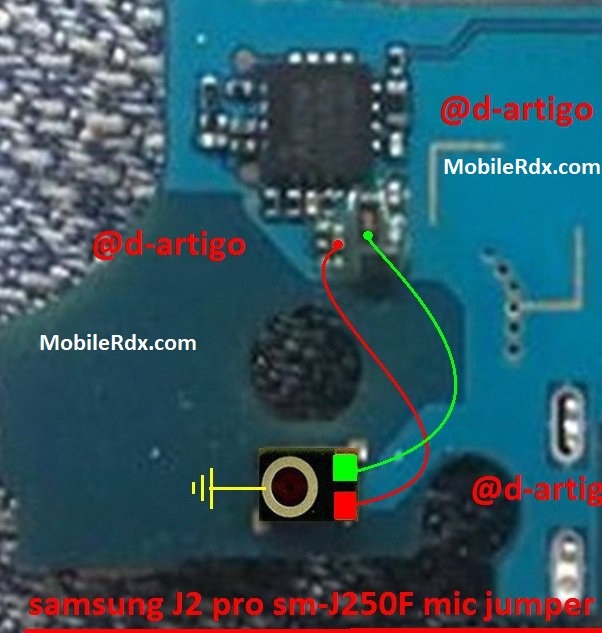 In Samsung Galaxy J2 Pro J250F microphone is soldered to the motherboard. The mic is responsible for sending your voice to the person on the other end of a phone call, recording sounds while making videos or simply using voice recording apps. So if the other person can’t listen to your voice during a phone call you are going to have to change the microphone with a new one. Changing Samsung Galaxy J2 Pro J250F mic can be a little tricky. It is soldered to the motherboard so if you remove it remember it’s placing position and put the new microphone the same way the old one was. If you have broken prints of the microphone connection points I have marked all of them in the diagram below. 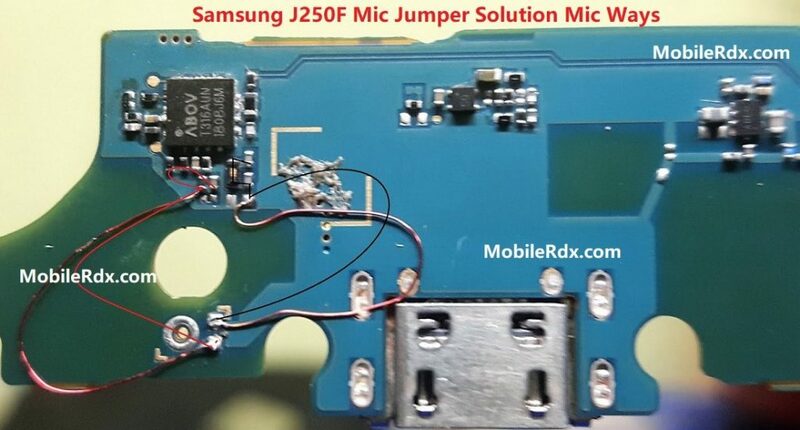 A lot of reasons available for mic not working error come to Samsung Galaxy J2 Pro J250F phone. Therefore, we give some main reason for the problem.